Irrespective of how much the world has progressed, there is no piece of technology or known information that can help one halt the process of aging. According to a report by Population Reference Bureau, the number of Americans aged 65 and plus is set to double by the year 2060. Everyone ages and it is one of the many things in life that is inevitable. However, with old age comes a plethora of problematic conditions and medical issues that can make it very difficult for one to take care of themselves. In fact, National Association of Area Agencies on Aging (N4A) states that 92% of people aged 65 or plus live with a chronic health condition. Fortunately, there are nurses and caregivers to care for the elderly, attempting to make the process of aging smooth for them. There are several nursing homes and caring centers built for the purpose of caring for the elderly, yet many people prefer to care for their aging loved ones on their own. They forgo the option to place their loved ones in nursing homes, in the hands of trained caregivers simply because the caregivers are unknown to the patient and their family. This isn’t to say that the caregivers or nursing homes are not trustworthy, but just that if a person is suffering from dementia or a similar condition, they wouldn’t be able to grasp their head around the concept of a nursing home. So, to avoid the despair brought by that, many people opt to take care of them on their own in order to provide a comfortable and trustworthy environment for the aging family members. However, as easy as the idea of caregiving may seem to you, it is nowhere near as stress-free as you may believe it to be. Caregivers actually have a really difficult time coping with the amount of responsibility that is put upon their shoulders, regardless of how much or how little of training they have received prior to this. A lot of people may believe that caregivers are kind-hearted and thus, the heart is trouble-free for them. Nothing could be further from the truth. Although they generally are of a giving and caring nature, it takes a lot more than that to nail the obligations bestowed upon the shoulders of caregivers. In addition to being kind-hearted and having a fair sense of how to communicate with the patients, caregivers are required to do a lot of other things, such as cleaning up after the elderly, assisting them to the bathroom or anywhere else they have to go, preparing appropriate meals for them – often times, feeding them too – and the biggest thing is that no two patients will be alike. 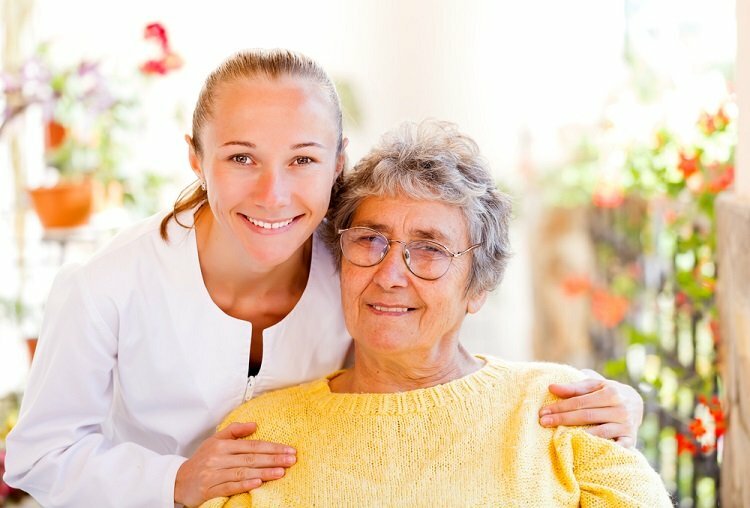 Thus, the caregiver cannot apply the same method of assistance to each patient. Some will have dementia, some will have extreme personality changes, and some may even be bedridden. Caregivers are also required to show up to tend to their patients irrespective of how inconvenient it might be for them. This means that even if it’s 4 in the night and caregiver is out with their friends, they must show up to tend to their patient in cases of emergency. Unpaid work – Around 43.5 million caregivers have taken on unpaid work, as reported by the National Alliance for Caregiving and AARP (2015). Practice Mindfulness: Mindfulness is the art of reducing stress by a substantial margin just by practicing and preaching positivity in one’s life. It is a Buddhist practice and has been known to help people overcome different mental health issues, such as anxiety and depression. There are several different exercises that can help one enjoy healthy and happy mindset and keep stress at bay regardless of what you may be experiencing in your life. Harvard scientists back it up. Yoga: Yoga has long been known for the plethora of benefits it can help one acquire in a matter of minutes. There are several different yoga techniques that target different parts of the mind and body in order to stimulate them and make the user feel more at ease with their surroundings and their waking life. Finding the Silver Lining: As with all other things, there is a silver lining in caregiving as well. The art of finding it is so ecstatic that it can help alleviate all symptoms of anxiety and depression, while reducing stress, very easily. Celebrate the little things. Focus on the joy that you have given to your patients and how this life will repay you for the good you are doing. Be mindful and be positive. Several caregiving experts have written multiple books on the subject of caregiving and how to deal with the trials and tribulations that arise as a result of it. One such book is The Caregiving Trap by caregiving expert, advocate for caregiving and author Pamela D. Wilson. Pamela founded “The Care Navigator” in 2006 which focusses mainly on fiduciary services and care management. She started her own project “The Caring Generation” after producing and hosting an educational radio program with the same name from 2009 to 2012. In her book, she ensures that the caregiver understands that despite the raised levels of stress and confusion, the outcome of their decision is well worth the wait and worth the things that might seem problematic at the current point in time. The book also covers exercising that caregivers can participate in for the purpose of relieving stress and anxiety. Another praiseworthy book on the subject is AARP Meditations for Caregivers which is a book that completely focuses on the stressful obligations of caregiving. It helps caregivers understand that it is very easy to evade the caregiving burnout that many believe is prone to come. Authors Barry Jacobs and Julia Mayer help the reader understand and overcome the challenges of caregiving in the most informative and fun way possible. Definitely worth a read! Furthermore, the decision to become a caregiver is one that is certainly going to have a huge outcome either in this life or the next. It is a big step to let go of one’s life and take care of another’s, whether they are family members or not. So, don’t lose hope because eventually, there is a light at the end of the tunnel and this very thought might sound clichéd but has actually helped a great number of people get on with their lives. Author: Tammy Wills. I love Literature, Shakespeare’s plays, pumpkin spice latte, and empowering women entrepreneurs.